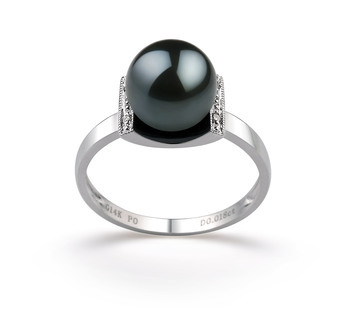 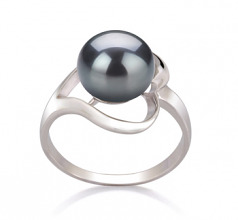 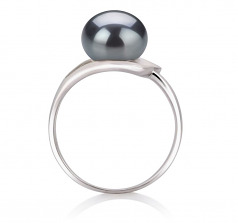 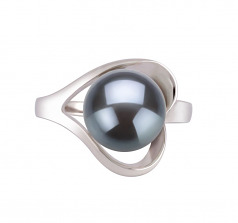 The Black Pearl is a high quality dyed Black freshwater Pearl Sterling Silver Ring. 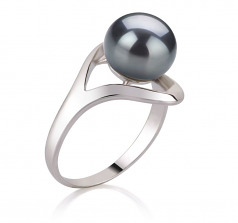 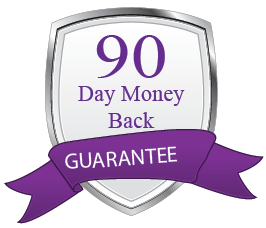 She features a side placed open heart design on top of the .925 Sterling Silver ring. 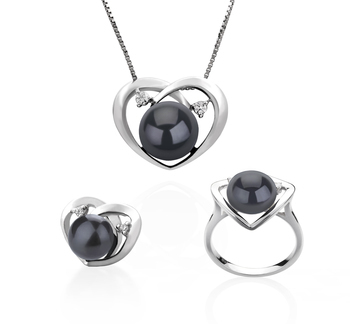 Inside the heart is where you will find the treasure of the Black Freshwater pearl. 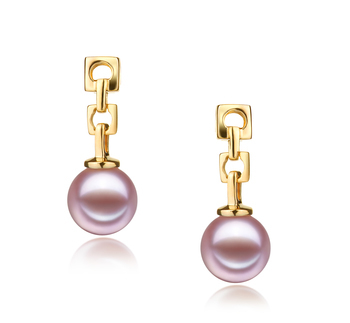 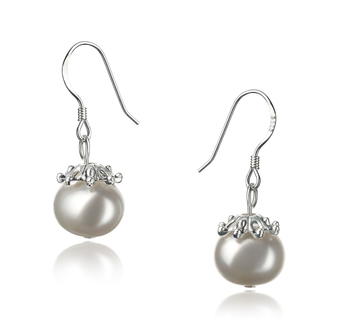 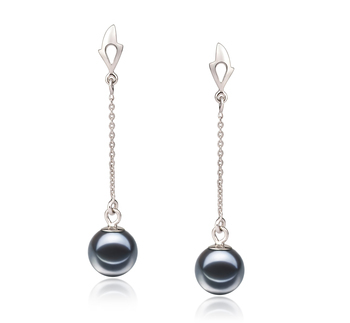 The large Black pearl is 9-10mm. 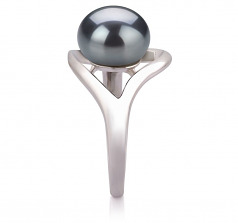 She is an AAA button shaped Pearl that is seated with the flat side resting on its platform within the heart. 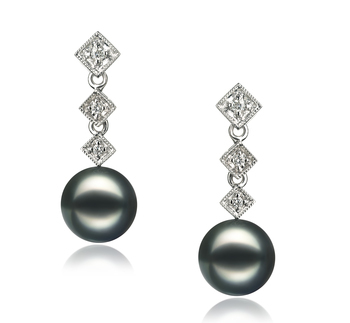 Her overall mirror like lustre is a high quality AAA. The sparkling nature of the lustre blends the pearl and the sterling silver ring together in perfect harmony.